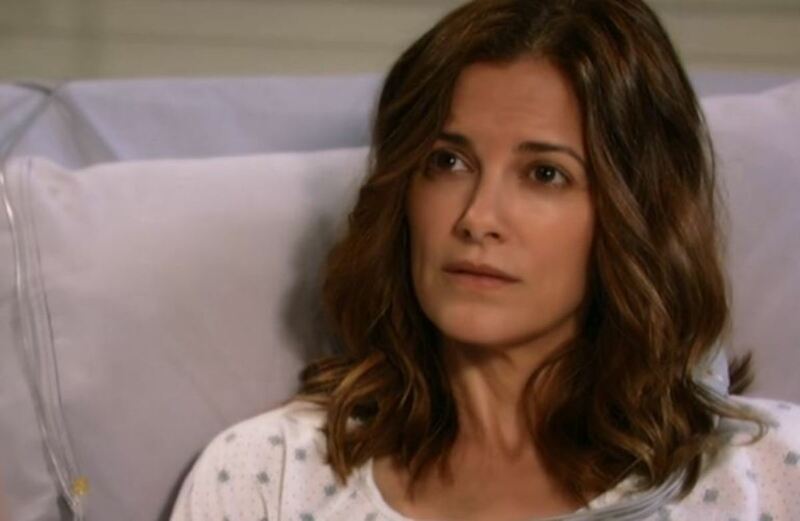 Perkie's Observations: What Does Hayden Really Remember on General Hospital? Franco explains to Liesl how Ava is alive and that Silas knew about the affair with Morgan. Franco believes that to be Ava&apos;s motive. Liesl tells him to trust Nathan with the information. Sam explains about investigating Nikolas and her concern that Liz would tell him. Patrick still isn&apos;t happy that she kept something from him. Jake asks Hayden about Nikolas, but she claims to only remember her fake marriage to him. Liz demands to know if Nikolas had Hayden shot and after a few denials he finally admits that he did. Liz questions his plans now that Hayden is awake and wants no part in him killing her. Nina insists that Franco is innocent, but Nathan presses her for more information that she can&apos;t give. Nathan gets a call from Liesl. He tells Nina there may be another suspect. Sonny tells Carly about Morgan&apos;s affair and that Silas knew. Carly tells him about Silas&apos; murder and both wonder if Morgan did it. Morgan tells Ava that they need to end their affair so that he can concentrate on Kiki. He tells her that Franco was arrested and will likely try to throw someone else under the bus. Carly summons Morgan and asks him point blank if he killed Silas. Nikolas pays Hayden a visit. Ava pays Franco a visit. He tells her his theory that she killed Silas. Ava warns that he won&apos;t tell the police otherwise she&apos;ll tell them about Nina being at the scene of the crime.